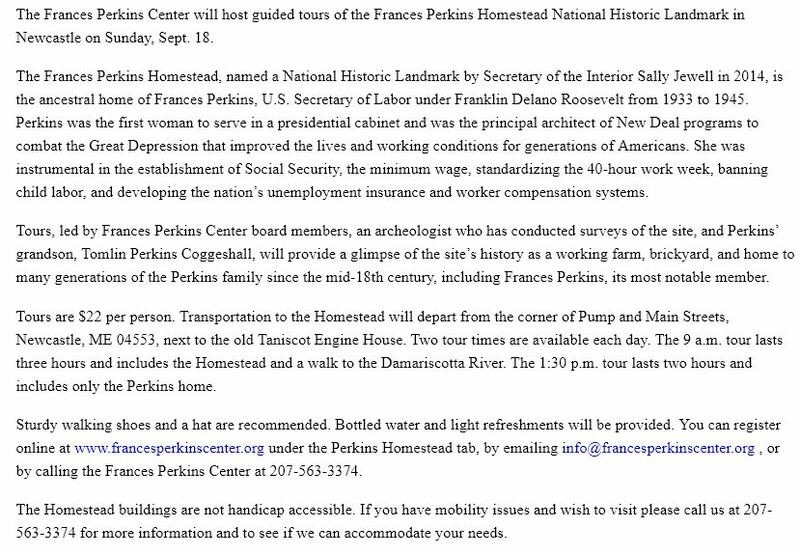 The Frances Perkins Center will host guided tours of the Frances Perkins Homestead National Historic Landmark in Newcastle on Sunday, Sept. 18. 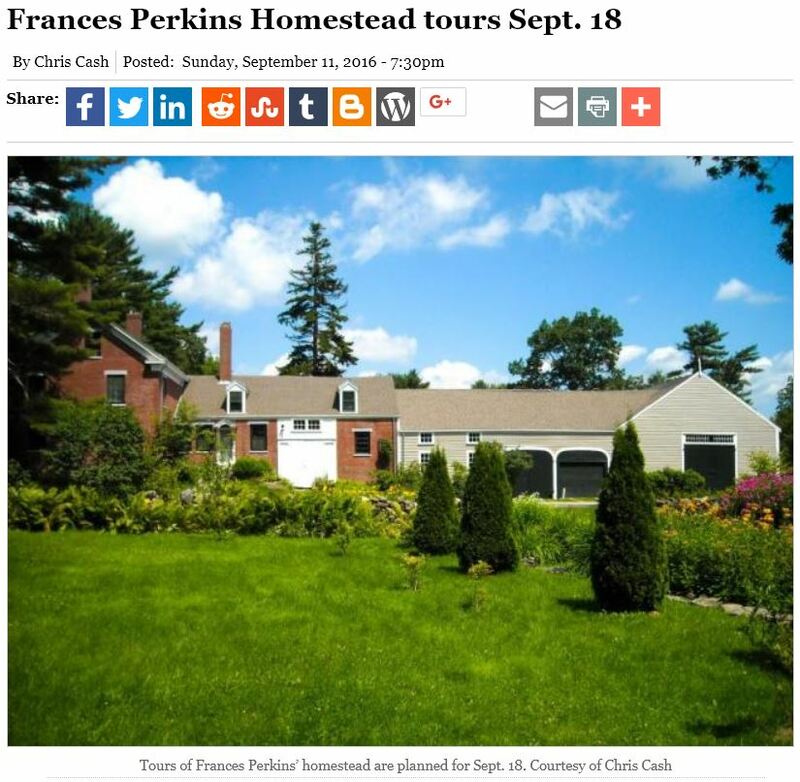 The Frances Perkins Homestead, named a National Historic Landmark by Secretary of the Interior Sally Jewell in 2014, is the ancestral home of Frances Perkins, U.S. Secretary of Labor under Franklin Delano Roosevelt from 1933 to 1945. Perkins was the first woman to serve in a presidential cabinet and was the principal architect of New Deal programs to combat the Great Depression that improved the lives and working conditions for generations of Americans. She was instrumental in the establishment of Social Security, the minimum wage, standardizing the 40-hour work week, banning child labor, and developing the nation’s unemployment insurance and worker compensation systems. Tours are $22 per person. Transportation to the Homestead will depart from the corner of Pump and Main Streets, Newcastle, ME 04553, next to the old Taniscot Engine House. Two tour times are available each day. The 9 a.m. tour lasts three hours and includes the Homestead and a walk to the Damariscotta River. The 1:30 p.m. tour lasts two hours and includes only the Perkins home.